Adventures in the Endless Pursuit of Entertainment: Kiss me, Bobby! 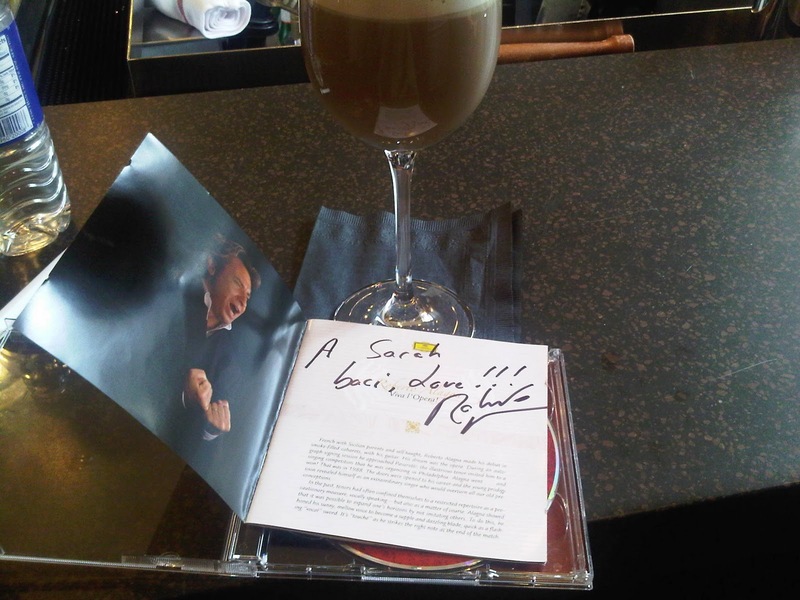 Sally, Kari and I stood in line at the Opera Shop at the Metropolitan Opera yesterday in order to meet tenor Roberto Alagna. I was first of the three of us and when I approached the table, he stood up and kissed me on both cheeks! I'm never going to wash my face again. Look at those "come hither" eyes!!! Just stay away from my Jonas! You've been warned. Chelsea, I told her she could have Dmitri. Isn't that enough? @chelsea - you can have him!